Specialist lenders - We have lenders who will consider adverse credit, complex income, unusual properties, lending in retirement, short-term finance. 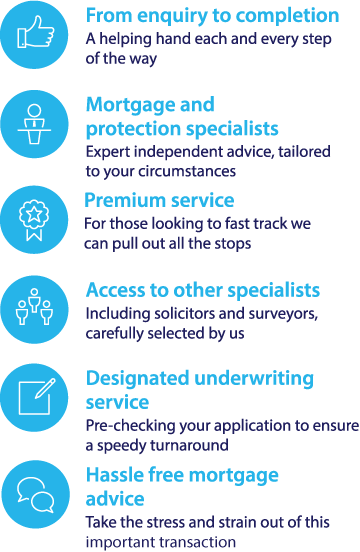 The essence of the Fair Mortgages service is professional, independent mortgage and protection advice brought to you by a team of specialist advisers and experienced administration support. You can call our mortgage broker team on 0117 313 7780 or request a callback. If you are thinking of venturing into the world of investment properties, you might be wondering what the general buy to let mortgage criterion is. Different lenders who offer buy to let finance will have their own specific stipulations and requirements, however has a general rule buy to let mortgages shares some common features. While it is possible to secure homebuyer finance with a relatively small deposit, buy to let mortgages tend to require a deposit of around 25%, although there are some products available with higher loan to value ratios. As with any kind of finance, the larger the deposit you can afford to put down, the more products there will be available to you and the cheaper your interest rates will be. The affordability of a buy to let mortgage is not usually calculated in the same way as home buyer finance, instead of the affordability calculation being based upon a multiple of the applicant’s annual income it is instead based upon the rental value of the property in question. From 2017, lenders require the monthly rental yield of the property to be at least 145% (170% for Houses in Multiple Occupation properties) of what the monthly mortgage payments would be. This needs to be based on a professional valuation of the property and you cannot merely inform the lender how much you intend to charge on rent. Under the 2017 changes, applicants will have to satisfy traditional lenders that they can afford the mortgage repayments in the event that interest rates hit 5.5%. It is also important to note that while affordability is calculated on the rental income of the property many, lenders still require applicants to fit a minimum income requirement. Some lenders prefer buy to let applicants to own their own home, although this is not true across the board. In addition, the changes 2017 to the mortgage tax relief may affect the affordability of a buy to let mortgage. This is because private landlords can no longer deduct all their expenditure from their buy to let property in their self assessment form at the end of the financial year. This means that landlords' tax bills will increase and ultimately make buy to let properties a more exepensive venture than in years past. The mortgage tax relief changes do not affect limited companies. More private landlords are looking to set up their own limited company, as a response to the recent tax changes, though this comes with some associated costs which should be considered. Lenders can also stipulate how you let out the property, for instance some may require you to have a minimum tenancy length agreed with your tenants, or state certain types of tenancy you are not allowed to rent the property on. Many lenders require you to take out a specialist landlord buildings insurance policy also. There are a wide range of buy to let mortgages available from high street banks, building societies and smaller specialist lenders. It’s therefore a good idea to shop around to try and find the product that fits your specific investment property needs best. When looking for a buy to let mortgage you may want to consider using the services of an independent mortgage adviser. Mortgage advisers who are independent can offer you impartial advice throughout the process. In addition, to this they can search across the whole of the market on your behalf to find the products from different providers that present the best deal for your specific circumstances. If you want to find out if Fair Mortgages could help you, fill in our online contact form to request a call back from one of advisers, who can offer you a free initial consultation. Alternatively you can call us on: 0117 313 77870.